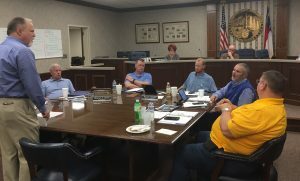 RUTHERFORD COUNTY, NC—The Rutherford County Commissioners met Friday evening to discuss goals for the 2018-2019 fiscal year. Among them was the proposal for a implementing a change in accountability for the Department of Social Services outlined under House Bill 630 (HB630). House Bill 630 changes the annual written agreement between the North Carolina Department of Health and Human Services and individual county-based DSS organizations. 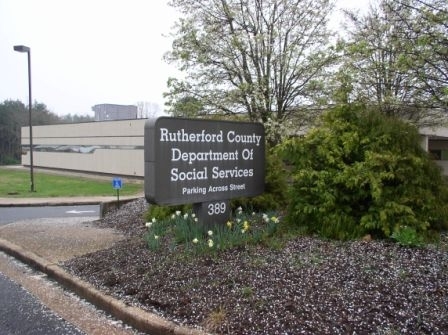 That contractual change makes Rutherford County fiscally responsible for the mistakes DSS makes without any oversight. Seeing that the commissioners are considering moving to a different organizational structure that allows them to have input into the staffing, policy enforcement and any legal issues. 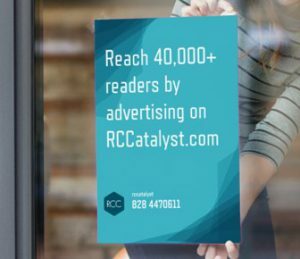 An investigative study into proposed changes to the organization specific to Rutherford County will be conducted. Additionally County Manager Steve Garrison who has previous social work experience shared that the social services and public health agencies could be consolidated if county commissioners approve it as one of their goals. Some counties in the state have already moved away from the traditional model where the executive director reports to a board, in which independent boards govern social services and public health agencies. In Option 1, the board of commissioners would assume the responsibilities and duties of both the social services and health boards, or either of them. The agencies would remain as separate entities and their directors would report directly to the board of county commissioners. In Option 2, the board of commissioners would create an independent consolidated human services board whose membership would reflect health, social services and consumers, as well as create a consolidated human services agency. The county manager would have authority to hire and fire the director of the combined agency with the advice and consent of the consolidated board. Option 3 is a hybrid of the first two options. The board of county commissioners would assume the responsibilities and duties of the boards of social services and/or health, and have the authority to create both a consolidated human services board and human services agency. There may be other options as well. N.C. House Bill 630, Session Law 2017-41, enacted during the 2017 N.C. General Assembly session, addresses various social services topics, including social services system reform. Social Services Regional Supervision and Collaboration Working Group was formed to make recommendations to the DHHS regarding establishing a regional supervision and collaboration plan. If the goal is accepted and approved by the county commissioners and the realignment of the RC Dept. of Social Services is implemented, the hiring and firing of the executive director would come under the county manager’s authority and not of the current DSS Board of Directors.